I'm happy to announce that the Hom 100 will take place on May 17, 2014. It's still very surreal that only 7 months ago, Tony was still with us enjoying a milkshake from McDonald's as he recovered from a cold. Had I known that was the last time I would ever talk to him, I might have said something more profound and encouraging. We'll be raising money for the ALS Association of Arizona again. This wonderful group of people did everything in their power to provide supplies, equipment and emotional support to Tony and his family during this difficult time. So how can you help? Glad you asked. Come walk, bike or run with me on May 17 for the Hom 100. 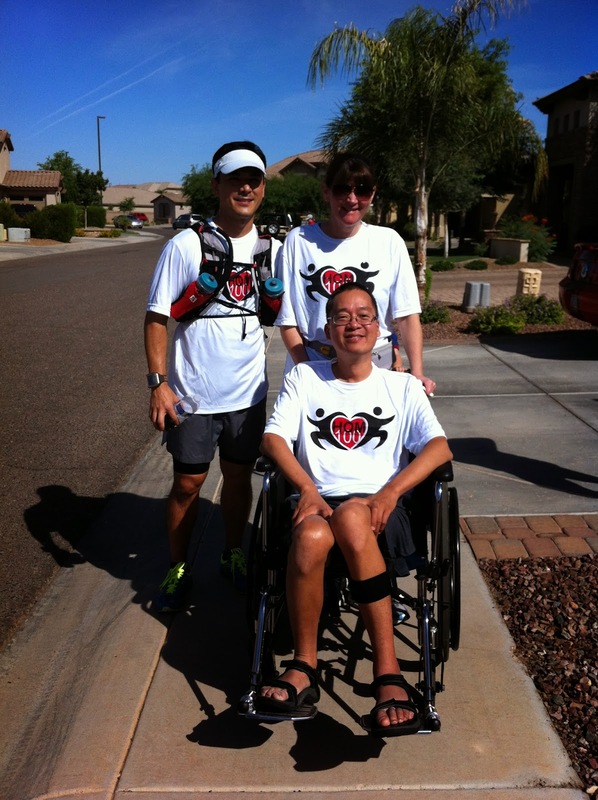 Thanks to Cadence Running Company for once again help sponsor the Hom 100 and bringing awareness to ALS.